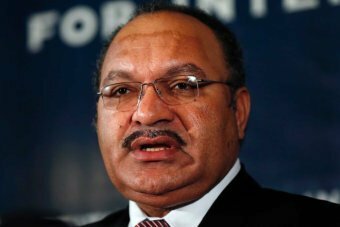 In the face of political marginalisation in the region, Papua New Guinea's Prime Minister Peter O'Neill has promised to voice concerns on behalf of those oppressed in West Papua. Mr O’Neill spoke of a ‘moral obligation’ to speak out on the issue that until now has been overlooked by many States in the region. "Pictures of brutality of our people appear daily on the social media, and yet we take no notice," he said. "We have the moral obligation to speak for those who are not allowed to talk. We must be the eyes for those who are blindfolded. Again, Papua New Guinea is a regional leader. "We must take the lead in having mature discussions with our friends in a more solid and engaging manner." Mr O'Neill made the extraordinary comments during a major speech at the PNG Leader's Summit in Port Moresby, where he outlined his government's core policies for 2015, including free education, improving healthcare and strengthening law and order. Pictures of brutality of our people appear daily on the social media, and yet we take no notice. In the past, Port Moresby stuck firmly to its position that West Papua was an integral part of Indonesia. It has been reluctant to talk about human rights abuses or to speak out on behalf of Melanesian separatists. On Friday [6 February 2015] the United Liberation Movement of West Papua (ULWP) will submit an application for full membership of the Melanesian Spearhead Group (MSG). Grassroots campaigners are urging their governments to support their Melanesian brothers. The movement's spokesman, Benny Wenda, said the application marked a significant moment in their fight for independence from Indonesia. "[For] 50 years, West Papua never had a united voice to achieve our goal for independence," Mr Wenda said. "But this has changed, we can unite in one group called ULWP." Mr Wenda said in the 50 years under Indonesian rule, the Papuan people were looked upon by Indonesians as "second-class citizens and treated as sub-humans". Indonesia will oppose the move, but with the Kanak Liberation Movement from New Caledonia already a full member, there is a precedent. The MSG leaders are expected to meet to make a decision in the middle of the year.